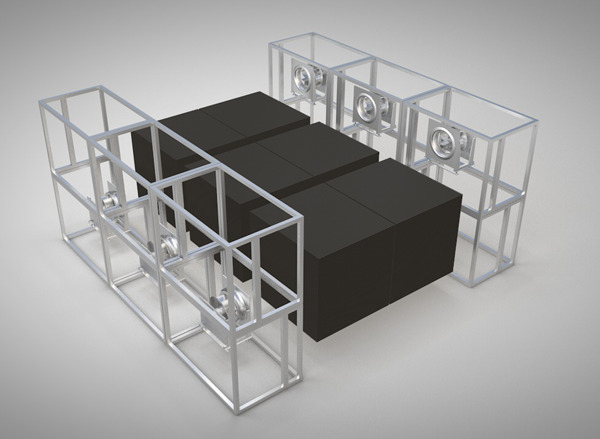 The heart of VoltAir System’s highly efficient energy recovery is based on two series-connected cross-flow plate heat exchanger made of polycarbonate. At nominal, balanced flow, the temperature efficiency is about 90%. Supply air and exhaust air are completely separated from each other which minimize the risk of transmission of odors and particles. The robust design with few components and moving parts gives low service costs. VoltAir System’s high-efficiency energy recovery is based on two series cross flow plate heat exchanger made of polycarbonate. The recovery of energy from the building's exhaust air is done by supply- and exhaust air fed crosswise over the system's heat exchanger. Supply air and exhaust air are completely separated from each other, which are also ensured by the unit's internal pressure set. This eliminates the problem of odor transfer which is often found in installations by rotary technology, where particles or odors can be transmitted via leakage or contamination of the rotor. Large heat transfer surfaces, highly efficient energy exchange between air flows and counterflow connection of heat exchanger parts provide a reliable design, which generates a high efficiency over the entire year. 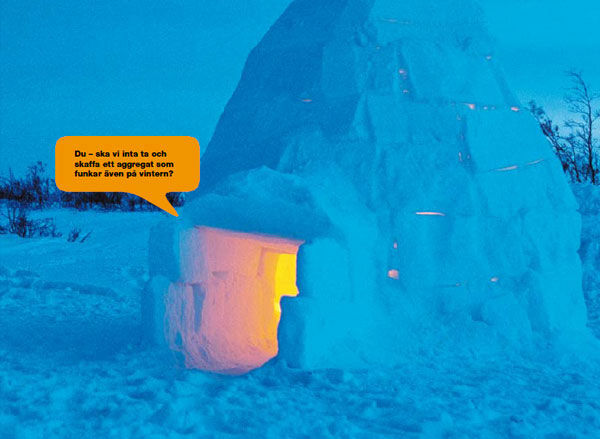 "- Hi, SHOULD WE NOT GET AN AIR HANDLING UNIT THAT WORKS EVEN IN THE WINTER?" 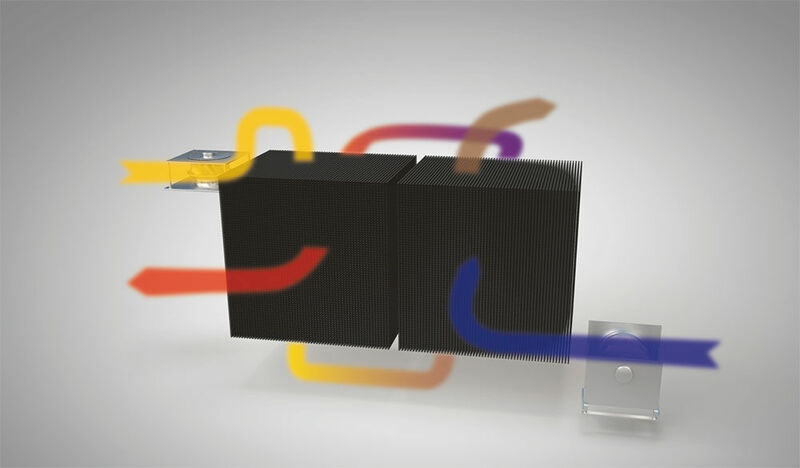 VoltAir System retains its high efficiency even at very low temperatures. Heat exchanger design with a smooth surface, low air velocity, laminar flow and a large heat exchange surface provides good conditions for very long periods of high efficiency without the need for defrosting. VoltAir System's high efficiency is not only a good investment in the period of the year which requires heating, but is also fully usable in the summer. Large filter surface and low air speeds provide low internal pressure drop. This, combined with EC fans means very low SFP. Bypass dampers, both on supply- and exhaust air, which opens at warmer temperatures further reduces the internal pressure drops. This gives the lowest LCC. 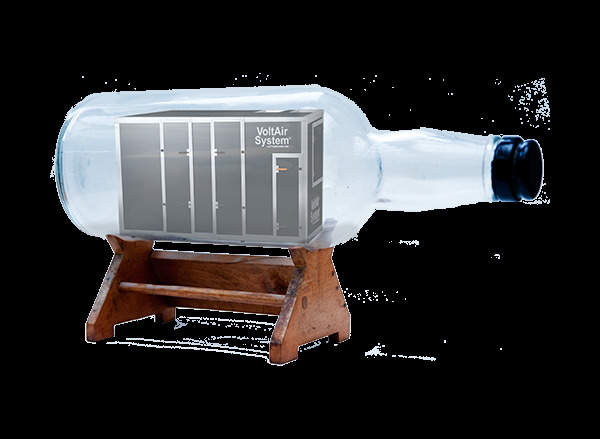 The heat exchanger in VoltAir System is made of polycarbonate, which is treated specifically for obtaining voltage neutral properties and low surface roughness. This allows dirt and ice adhere poorly to the heat exchanger's surface, which in turn gives the product a high resistance to freezing. Heat exchanger design, with low air velocities, laminar flow and a large heat exchange surface provides good conditions for long periods of high efficiency without the need for defrosting. When the exhaust temperature is below freezing, ice crystals form from moisture in the air. 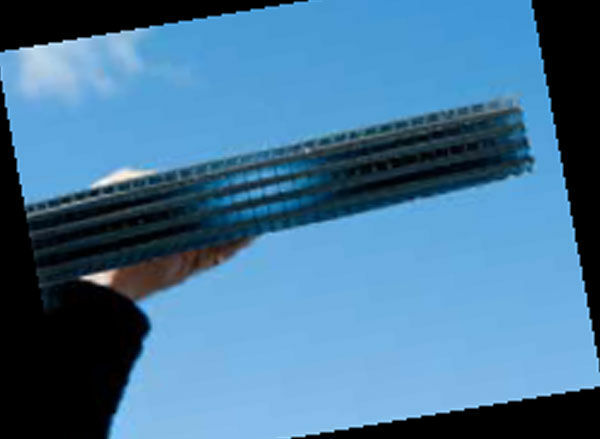 VoltAir System manages this process and retains the high efficiency. To avoid freezing when having unbalanced flows or long periods of low outside temperatures, the units are equipped with an intelligent on-demand de-frosting system. We can utilize attics, basements, roofs, spaces with very low ceilings, and build around columns and other permanent barriers, all this without having to open up the building for transport. If needed, we will transport all unit components through an ordinary door (with a minimum width of 60 cm) and build it on the site! The units simple design with few components and moving parts gives high serviceability, long service life and very low maintenance costs. 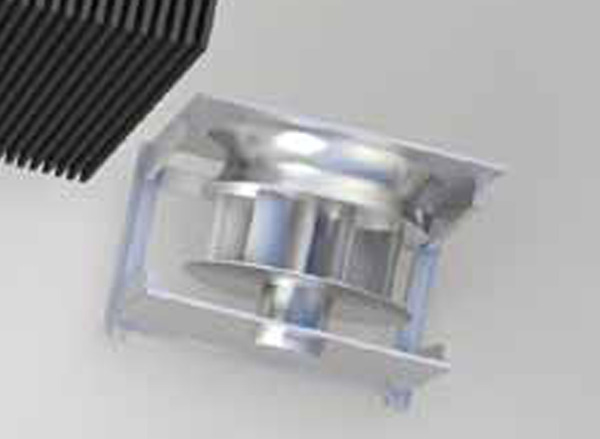 Highest heat recovery – up to 90% - in combination with EC fans and very low internal pressure drop gives the lowest operating cost. 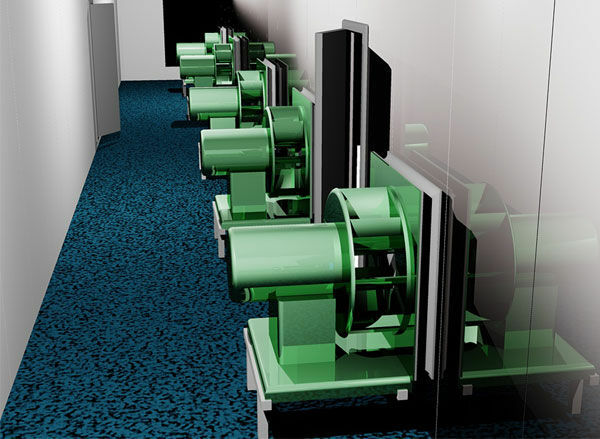 In VoltAir Systems air handling units EC motor technology is used were ever possible. EC motors are characterized by high efficiency regardless of engine speed and therefore offers good SFP-value regardless of the unit's operating point. All components of the system is of well-known brands and we monitors technology developments continuously. VoltAir System can be installed even where the surfaces are narrow or where access for installation is limited. The technology also allows permanent barriers pillars into the unit. Eg. it gives attics, basements, ceilings or areas with limited ceiling heights, an opportunity to be used for housing the air handling unit. This is space with low economic values. Installation can be carried through a normal door with dimensions down to 60 centimeters width. This prevents the customer from costly expenditure such as holes in the wall or ceiling. VoltAir System release surfaces. And previous fan rooms are turned into apartments, office space, a spa or areas for economic uses. The limitation of VoltAir System is only the need for access for service and maintenance.